Centrally located, this charming three bedroom timber cottage offers a relaxed coastal lifestyle with a wonderful open view across the road to Saunders Oval. Located only minutes drive from local beaches, North Creek, Richmond River and walking distance to Ballina Fair. The tastefully renovated cottage features three generous size bedrooms, high ceilings, open plan living/dining area, sunroom and a welcoming central family kitchen. The fantastic covered entertaining deck is ideal for barbecues or lazy Sunday afternoons while overlooking the north facing fenced rear garden. 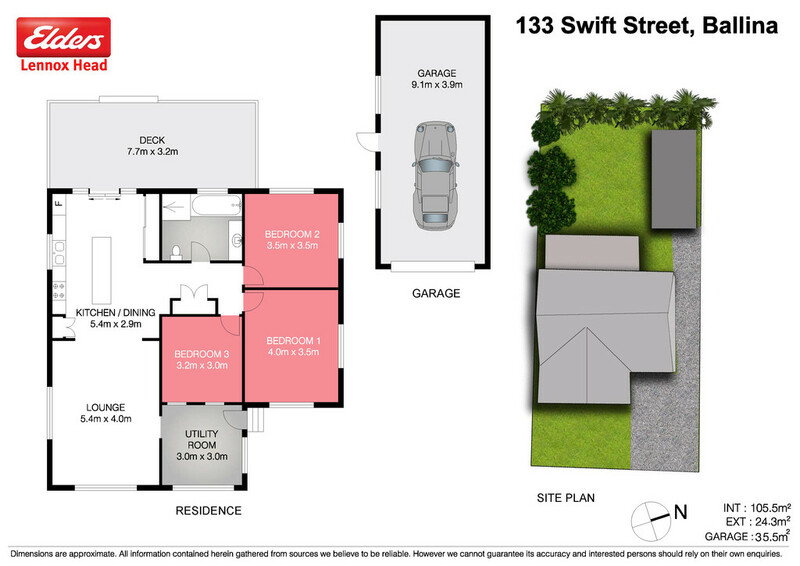 It also boasts a single standalone garage which is oversized to include a workshop and extra storage.